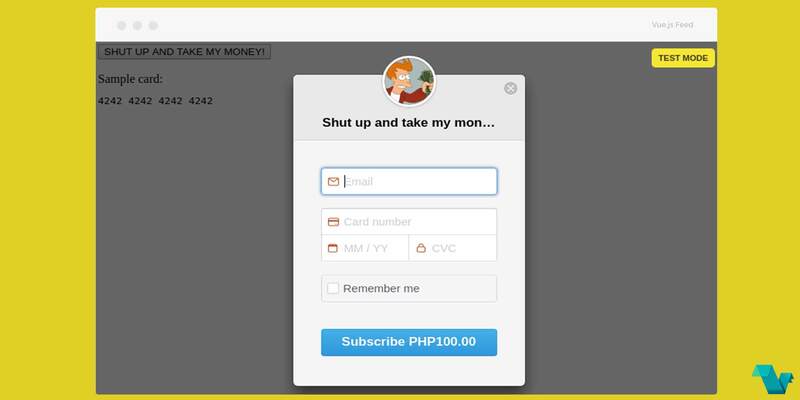 Stripe is a service for making payments for goods & services online. If you are looking to implement it in your project without much trouble try the Vue Stripe Checkout plugin. You can integrate the Stripe Checkout plugin with ease and use the available options from the official Stripe docs along with your options. To start working with the Vue Stripe Checkout use the following command to install it. You can get a publishable key by Stripe just by signing up. Checkout will be available in the vm or this if you are using single file template (*.vue files). A Vue.js plugin for Stripe checkout, that's it! I sh@t you not, this plugin is the easiest to use. If you are interested in more info or you have any bugs and suggestions, click here.